WILLEMSTAD – During the treatment of the court case today against Burney ‘Nini’ Fonseca, Elves Kuwas alias Monster mentioned two names as the intellectual authors of the murder of the popular politician Helmin Wiels on May 5, 2013. Fonseca is considered by justice as the link between the intellectual authors and the executors of the murder of politician Helmin Wiels. Kuwas mentioned the former Minister of Finance during the Gerrit Schotte’s government, George Jamaloodin and his half-brother, the lottery boss Robbie dos Santos. Pretu (he committed suicide in his police cell in Barber). Pretu approached Kuwas. Kuwas said that he was promised 250,000 guilders to murder the politician. “The next day I went to Panchek to get the money. I was paid 100,000 cash. They promised me that I will receive the rest later. 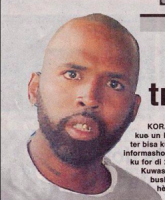 This is what Pretu told me,” said Kuwas in court today. Kuwas also said that he does not want to lie anymore and believes that the relatives of Helmin Wiels are entitled to know the truth. “I do not want to protect Fonseca anymore. He’s a jerk!” said Kuwas. There were several other witnesses who testified that they saw Jamaloodin give money to Fonseca. Some of these witnesses used to work at Speedy, which is a security company owned by the former Minister. They were fired because they testified against their former boss. 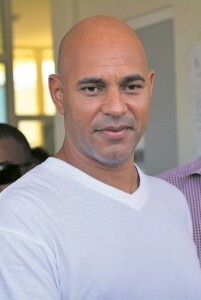 Jamaloodin is currently behind bars in Venezuela and is awaiting his extradition to Curaçao.